For the third straight week and fifth time this season, Jalen Pickett (Aquinas) was named Metro Atlantic Athletic Conference (MAAC) Rookie of the Week. In Siena’s only game of the week, Pickett scored all nine of his points in the second half when the Saints erased a seven-point deficit for a 71-66 victory over conference rival Marist. The 6-foot-4 guard handed out eight assists in the win to go along with six rebounds and two steals. He committed just two turnovers. Pickett leads the MAAC and is tied for fifth nationally with 7.4 assists per game. His assist to turnover rate of 3.03 is ranked 29th in the country and is fourth among all freshmen. Per KenPom, Pickett’s assist rate (metric that estimates the percentage of field goals made by a team on which a particular player collected assists while in the game) of 44.3 is third in the nation. READ THE COMPLETE MAAC RELEASE HERE. 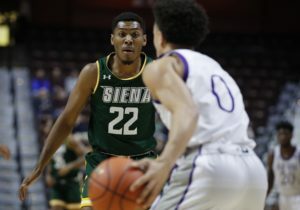 Former Siena Saint Kenny Hasbrouck won the award eight times during his freshman campaign at the Loudonville, New York school. Earlier this season, Pickett became just the fourth student-athlete in MAAC history to earn Rookie and Player of the Week simultaneously. 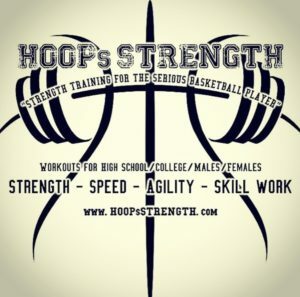 He joined former Canisius Golden Griffin and current East High coach Darrell Barley to receive this distinction. Pickett was the first recruit signed to play at Siena under first-year head coach Jamion Christian. Siena plays at Canisius on March 1.